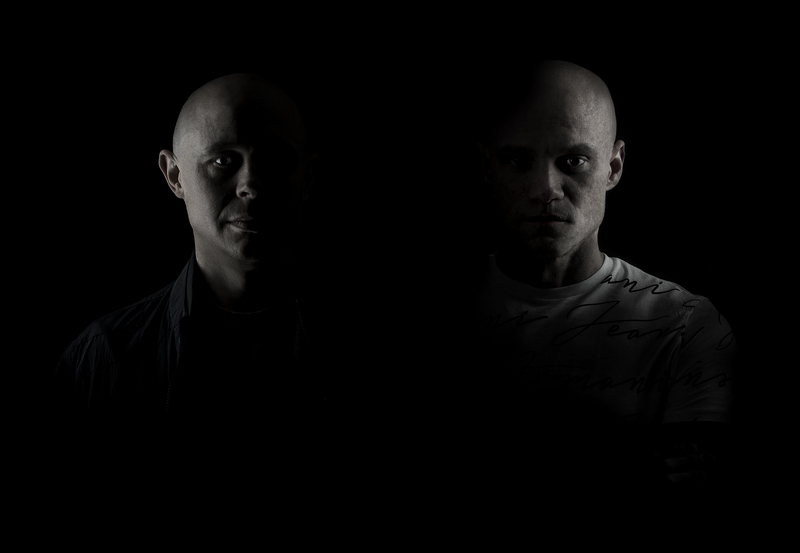 T-Phonic & Deadman are the most recent members to Technique Recordings’ family. The signing comes after the pair’s multiple contributions to the drum & bass label’s compilations in 2016. The duo have a raucous past, gaining support from big name DJs like dnb legend Hype as well as making a name for themselves in a range of electronic genres. The duo has wasted no time in proving their worth at Technique with two jaw-dropping releases, ‘Scare Tactics’ and ‘Reflections VIP’. Both of these tracks sets the tone of T-Phonic & Deadman’s hard-hitting drum & bass. ‘Scare Tactics’ has neurotic twists and minimal percussion that both keep you on your toes, whilst ‘Reflections VIP’ uses euphoric chords and vocal samples to create a perfect summertime track. This version of the track cleverly takes the same elements as the original but does something almost completely different to the ear. Want to know more about this exciting duo, then read our exclusive interview with them, and find out more about their latest tracks. 1/ You’ve recently joined dnb heavyweight label Technique. How does it feel to be part of the Technique family? All good so far! Obviously, it’s a massive label with a long history of big tunes, so we’re honoured to be a part of it! Simon and everyone involved has made us both feel very welcome. 2/ What do you like most about being with Technique over previous labels? We’ve been impressed with how well regimented and organised everything has been. They have things running like clockwork. Social media posts, releases, artwork and promotion are all on point. We were lucky enough to DJ on BBC Radio 1 last month and the DJ bookings are starting to come now too. 3/ Can you tell us about your inspirations for your new material? Right across the board really, we’re inspired by pretty much everything from old hip hop to new electronic music, but at the moment we’re quite heavily inspired by the old school rave sound, the sounds and vibe it creates is still unique. 4/ How did your partnership come about? Have you always DJ’d together? A close mutual friend, DJ Twista, introduced me to Tim after I started doing a few drum & bass bits on the side of my usual 4/4 or breakbeat projects. I sent Tim a late night coffee fuelled over excitable Soundcloud message and, unfortunately, the poor chap replied! (Mug!) I think the first track ‘Outside World’ we started is still unfinished. It’ll probably be forthcoming on our next EP, forty mix downs and twenty drum changes later! Our first release together was “Show Me the Way’. This was followed by ‘Reflections’ and, it’s the success from that which really cemented the partnership for us. DJ wise, we had never DJ’d together before! We like a lot of the same music so we have a lot of fun on the decks. The whole partnership is pretty new and it’s been full on studio assault since we started so we can keep a constant flow of music coming. 5/ You’ve just released two new tracks, ‘Scare Tactics’ and ‘Reflections VIP’. Could you tell us about the tracks and what sets them apart from other dnb artists at the moment? I think we went to two extremes with the tracks, ‘Reflections VIP’ was just an anything goes rave fest, maybe a little over the top but that was half the fun of it. One minute the 808’s and jungle breaks are pounding and the next you’ve got circa 1992 style hands it the air pianos! ‘Scare Tactics’ started off from a BBC Sherlock sample and ended up as a dark journey through the spirit world with reversed demon chants as backing noise…we haven’t really got a particular style at the moment. We both love just getting ideas and playing around with them until it sounds half decent. Then one of us will take over until its better…and so on!